Vacation rental villa. Sleeps 4, 1 bedroom, 1 bathroom. No pets allowed. Our newly remodeled common area deck with dusk falling over the wide Pacific. We have a fire pit! The entry of this one bedroom, one bath villa is flanked by two fountains – setting the scene for a tranquil island-inspired getaway. 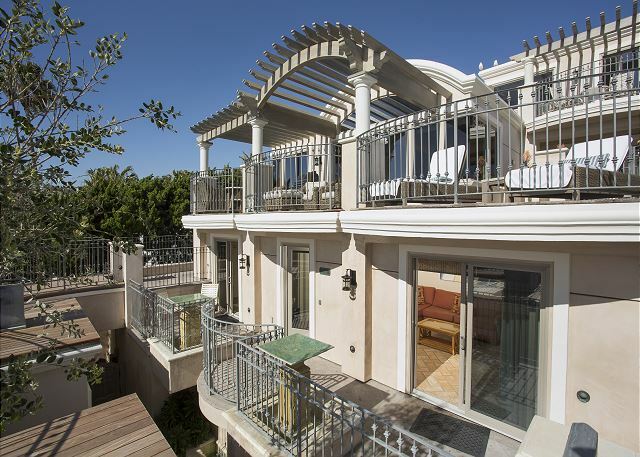 The villa has easy access to the common area deck and a view of Catalina Island, plus the beach and coastline below. 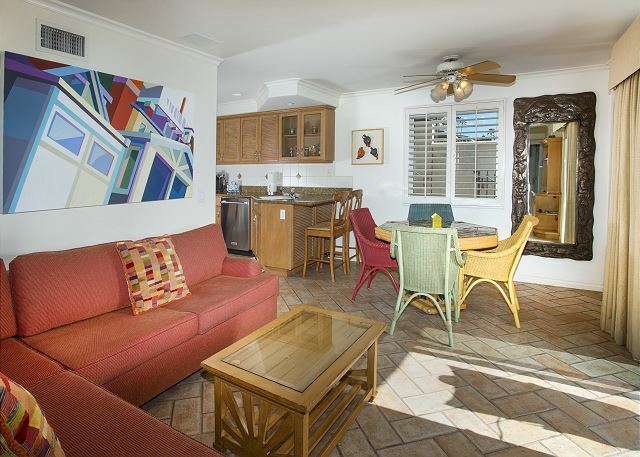 Spend your evenings enjoying colorful ocean sunsets from the patio area or relaxing in a jetted bathroom tub. 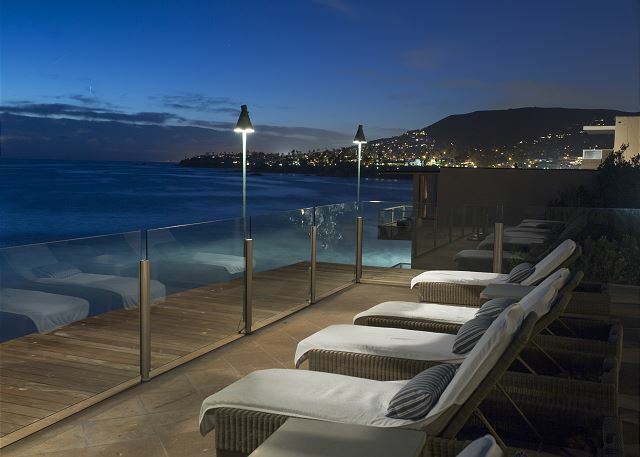 Rising directly above Laguna's dramatic coastline, these luxury, oceanfront accommodations are located in the heart of Laguna Beach. 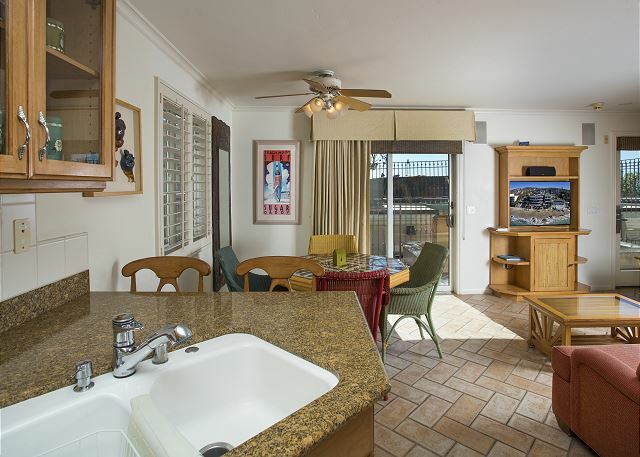 Villa Calypso is within the Sunset Cove Villas complex and is conveniently located within walking distance of many shops, restaurants, galleries and activities. Thank nature for crashing waves, white sand, spectacular sunsets and gentle breezes. What nature has not provided the creators of Sunset Cove Villas have; luxury, gracious amenities and attention to your every need are all part of the Villa experience at Sunset Cove. Check in and out was easy. The condo is very nice and clean, though could benefit from a few personal touches (games, plastic ware for deck/beach, small cooler). While we were able to sleep four, space is very limited for luggage and belongings for that many. The location right on the beach is fantastic, though we didn't realize the view from the condo was largely blocked by the common area deck. Another wonderful stay at Sunset Cove Villas! 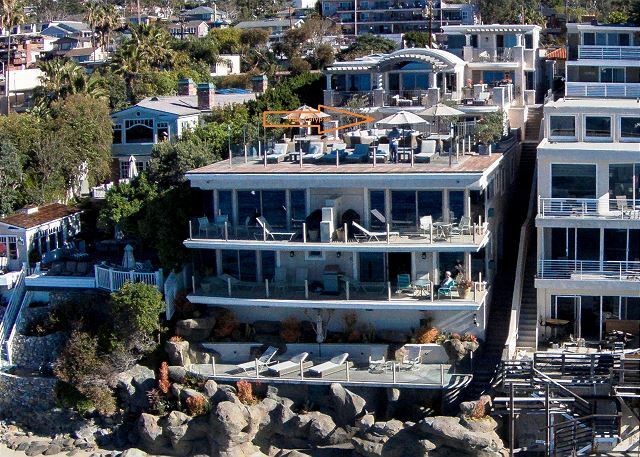 Whenever we visit Laguna we try to stay at Sunset Cove Villas. It's the perfect home away from home. The facility is fantastic, great amenities and the location is perfect. Just love it!! I booked this room to treat myself while recuperating from surgery for breast cancer and it was amazing. Simply walking a few steps put me on a lovely balcony over looking the water and down more steps placed me right on the sand. The sound of the waves was amazing and bed was so cozy! Everyone I met there were return customers and I hope to be one too! I think we have been vacationing at the Villa for 17 years! Our time at Sunset Cove was wonderful! We were booked across street and offered this villa in exchange since hotel was under contruction. We were so happy to have decided to take it. Great stay, great location. Leo is the best! What a great spot!! We enjoyed the location, great access to the beach and you can’t beat the view of the sunset from the deck. The location was just outstanding. Our room was just right outside the common roof top area, so we had easy access to such an outstanding view. We stayed in the one bedroom Calypso room. Bed was very comfortable, plenty of room for two people. I would have given it 5 stars if couch was more comfortable and if they had a french press for my bulletproof coffee. We would like to rent the room overlooking the beach on the next trip. We had a great time and would highly recommend to beach folks. Well.well. Will definitely go back !! The best part of this rental is the LOCATION!!! 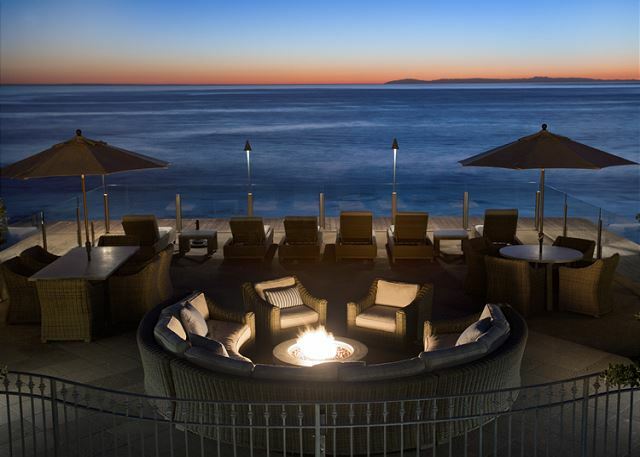 A heavenly stay in Laguna! The booking process was very easy and Tim was quick to respond to any questions that we had. Upon arrival Leo was onsite as promised and showed us around and made us feel very welcome. The location is brilliant and the view is spectacular. We have already recommended Sunset Cove Villas to our friends! This spot was fantastic. A much needed vacation turned out to be everything we hoped for. The unit, service, amenities and location were all first rate. Looking forward to returning! This was our second stay at Sunset Cove. The service is outstanding as is the location. 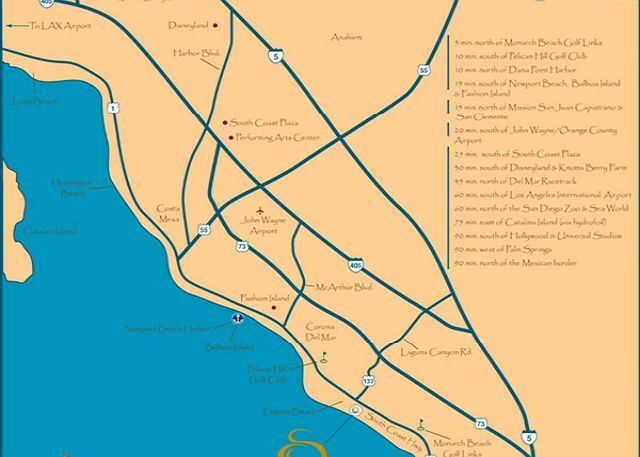 The main shopping/restaurant area of Laguna Beach is within easy walking distance. A Ralph's grocery store is only a block away. I would highly recommend Sunset Cove. This is a beautifully maintained property and as advertised. 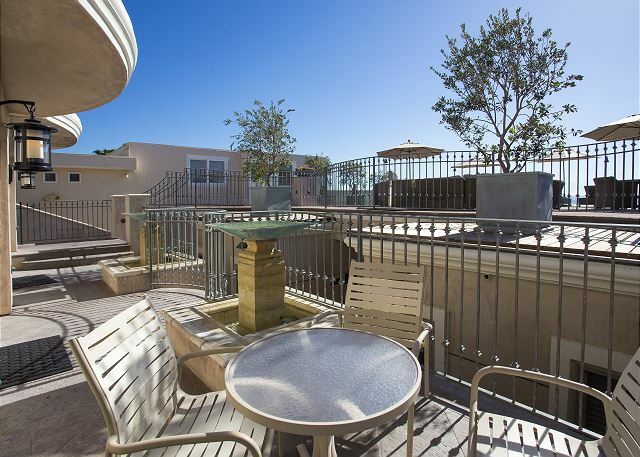 A relaxing set up with an incredible view deck steps from the front door.Down the steps to the beach with great swimming to the left or right of building. Two minute walk to "The Deck" & "Driftwood Kitchen"; Seven minutes to Main Beach. You can leave the car in the secure parking garage and enjoy LB on foot! This multi-level, 8 villa complex in Laguna was beyond expectation! The common amenity deck, with lounge chairs, tables/umbrellas, grill and tiki lights, overlooked the ocean. No matter what villa you rent, you have unbelievable ocean views and sunsets. 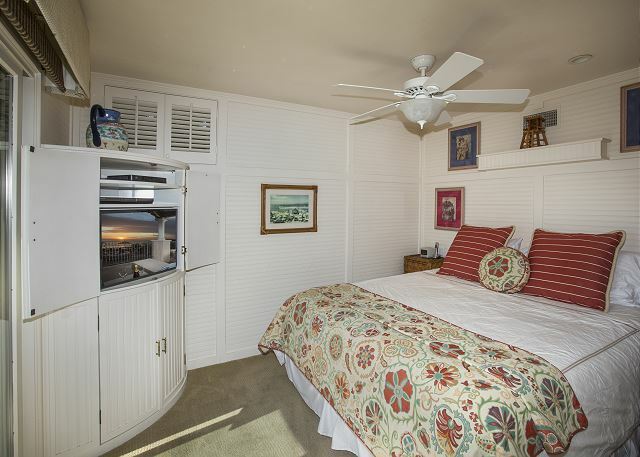 Some have their own large ocean deck...all with very high-end finishes and furnishings, including mattresses and pillows that are changed out often. We were there in early Oct and usually had the deck to ourselves and guests. The family that was there had the most well-behaved young children... we had to tell them what a pleasure it was to share the deck! 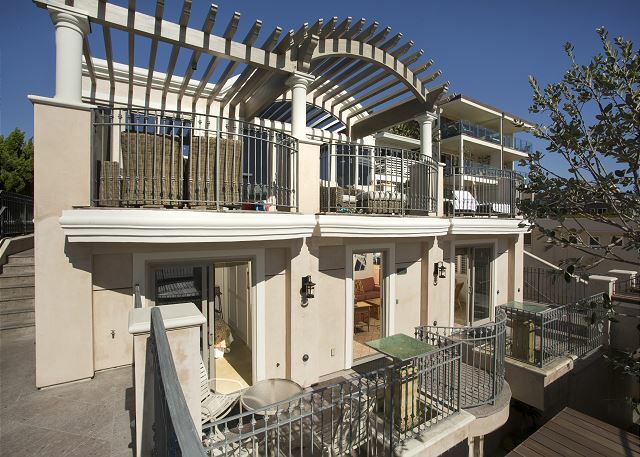 On beach days, you go down the private stairs to the bottom deck ...equipped with beach chairs, lounge chairs, umbrellas,sand toys (very family oriented) and proceed through a private gate to the beach. On site management for any questions. A private parking garage with remote solves any concern with finding a spot to park. 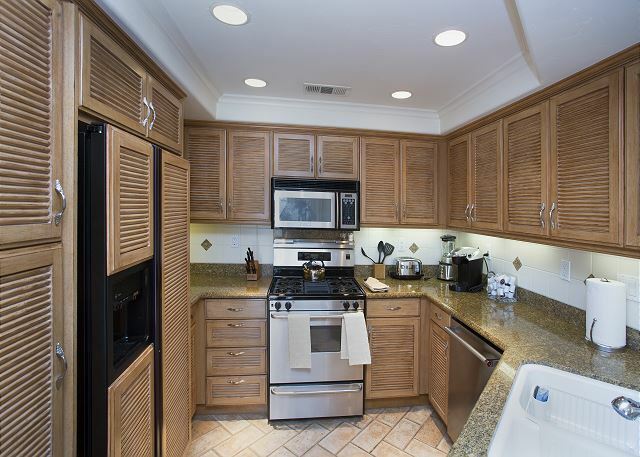 You are in walking distance of breakfast, lunch, dinner, shops (and a large grass park) but the modern kitchen has high end appliances so cooking is a pleasure!! And eating oceanside on the outdoor tables!!! If anyone else has rented Beachfront Only properties, this is comparable if not better. Planning to return! Even before getting there, everything was very professional and every detail was considered. From arrival onwards it was just like paradise..
Everything was PERFECT! We definitely recommend the place. My wife and I had a wonderful stay and hope to be back soon. Thanks Tim and Leo !!! WONDERFUL AS ALWAYS, BUT DO THINK ITS TIME TO REDO THE FURNITURE, ITS GETTING TIRED!!! Hi Kathy, Sorry I did not see your concern on our furniture. We have our units deep cleaned professionally many times yearly and check between rentals. Really first time Ive heard or had no complaints- it is hard in middle of summer with our extreme business but will look into this. Sunset Cove Villas exceeded expectations in every way. My family including 2 children had a great time. I look forward to coming back next year! Very happy with the stay at Sunset Cove Villas, the service, property, location and one other important thing that is important for us as guests, great onsite service and personal followup as well as attitude of employees. Leo did an excellent job here. One of the best places in Laguna without question. Clean, beautiful views from deck, big kitchen, easy access to beach, shopping etc. Can't ask for more. 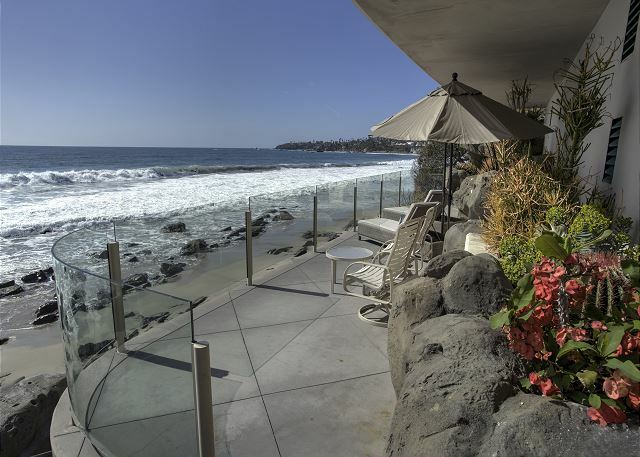 We love Sunset Cove and have stayed before - favorite place to stay in Laguna Beach. There is some work being done next door and unfortunately it was extremely noisy during the day. Everything settled down by 3 pm, luckily. We are coming back to stay for sure. Absolutely gorgeous venue! 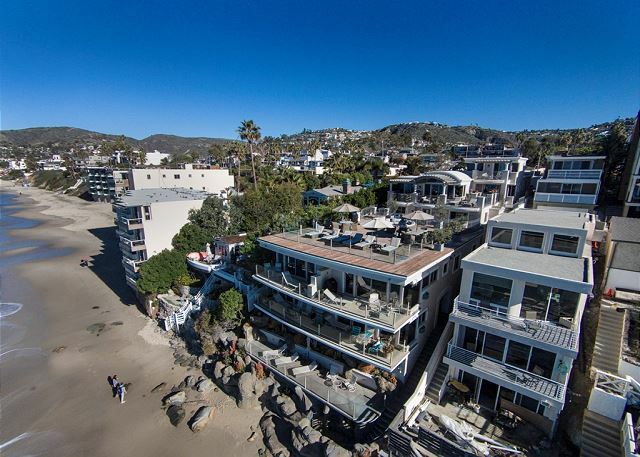 Walking distance to everything in Laguna Beach. Villas five star. Can't say enough positives about this beautiful experience. 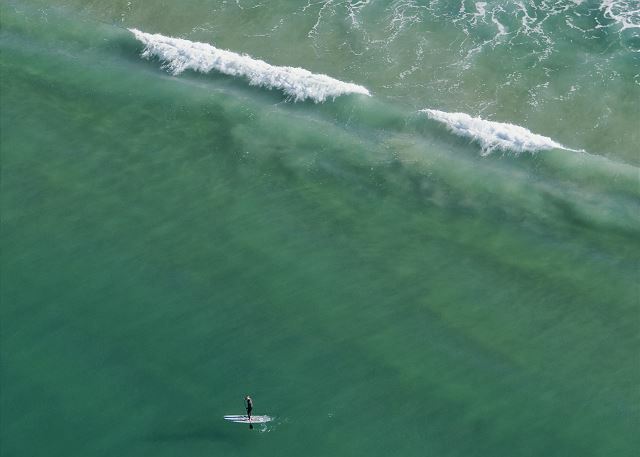 You can almost touch the waves and the ocean sounds are mesmerizing. The perfect place for a luxury family villa with direct access to the beach and just a few minutes walk to central Laguna Beach. High quality accommodation, professional service and respectful and quiet fellow guests. Simply perfect. Had a great time and would like to make this my family annual trip. My grand daughters enjoyed the beach. The maintenance staff was great and the room is what we expected. We'll never stay anywhere else! The property was clean, peaceful and beautiful. We could walk to the grocery store, restaurants and shops downtown. The laundry facility was free and had modern washers and dryers and complimentary detergent and fabric softener. We rented a car for the week and sunset Cove Villas provided a roomy garage with our own parking spot. The best part was our fantastic host Tim!! Tim made sure we had everything we needed! He even recommended restaurants and activities. He was always cheerful, willing to help and knew all our names. He and the staff were not obtrusive, they were very friendly and genuinely concerned with providing us a with an excellent vacation! 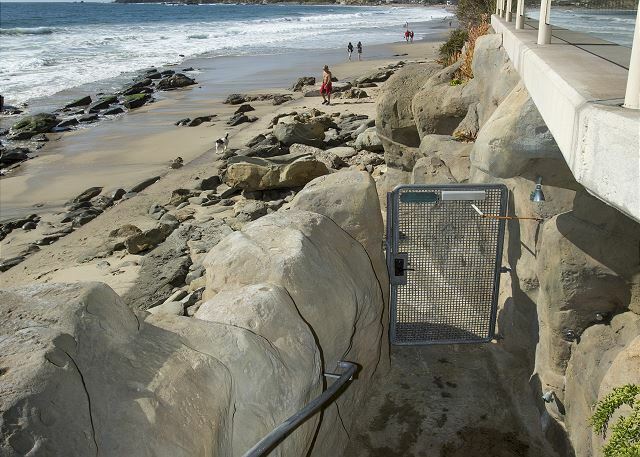 The beach access was amazing! Right down the stairs! We fell asleep listening to the ocean each night. 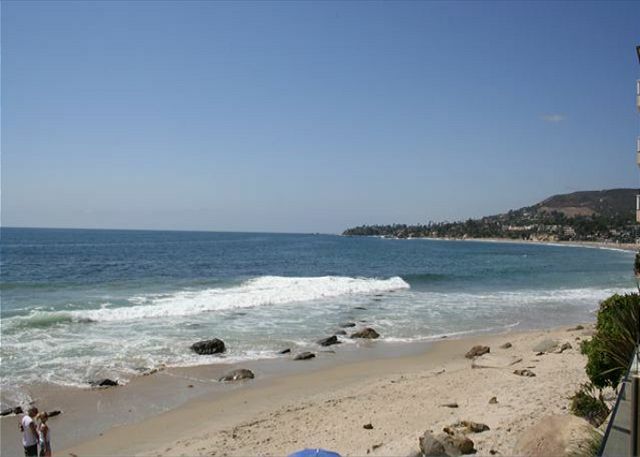 We've fallen in love with Laguna Beach and won't stay anywhere but Sunset Cove Villas! Great stay, I have recommended to the Tiberti family. Had a great week at the Villas. Tim was great and very accommodating when he allowed our visiting daughter to use one of the empty car spaces in the garage vs. having to navigate the 3-hour parking meters on the street. Great location, beautiful views... loved the place. 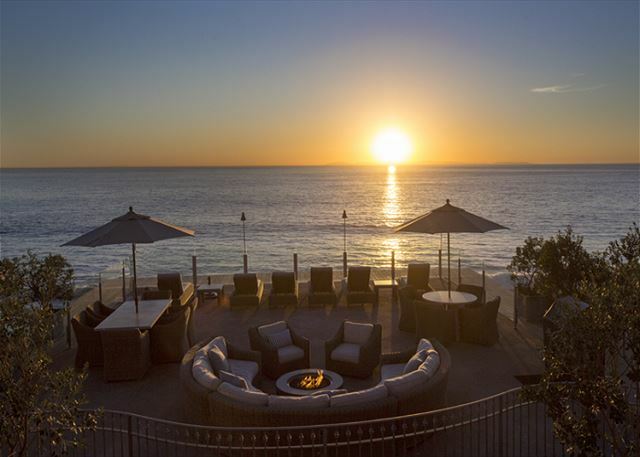 We've stayed at alot of places over the last 10 yr. in Laguna Beach but now we feel we know a secret, one of the best places to stay for the $ is Sunset Cove Villas right on the beach. It's location and all the description we were told really undersold this property it was even better, located within walking distance all the restaurants you could possible want in all cuisines with the beach 25ft or 50 ft depending on which villa you stay in. The villa we rented was magnificent I would give it a ***** five star rating .Upon arrival we were meet by Tim O'neal(THE COOLEST MANG. YOU'LL EVER MEET) he took us to the Villa and I was bowled over with the beautiful decor and spotless appearance it was detailed to the nines.The kitchen was outfitted with everything and I mean everything it just took a little while to find the cheese grater and garlic press. The unit had direct access to the common deck with stunning views up and down the coast line with beautiful outdoor furniture and BBQ, great for all day and evening cocktail hours. We highly recommend to everyone especially those of you that come back here to stay year after year this will give Laguna Beach a whole new look and feel. 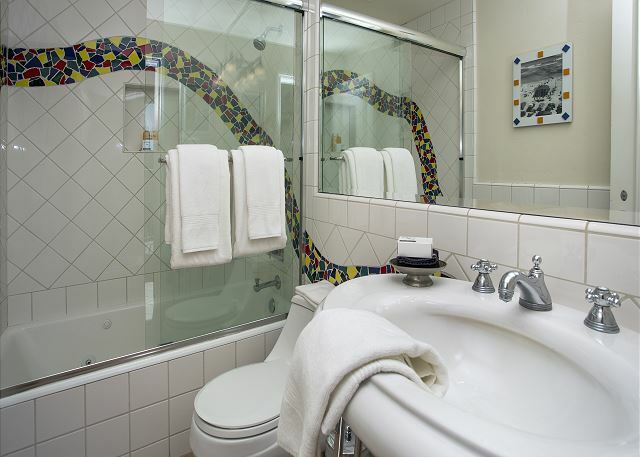 Meticulously Maintained; the perfect experience! Calypso was truly the place for us. 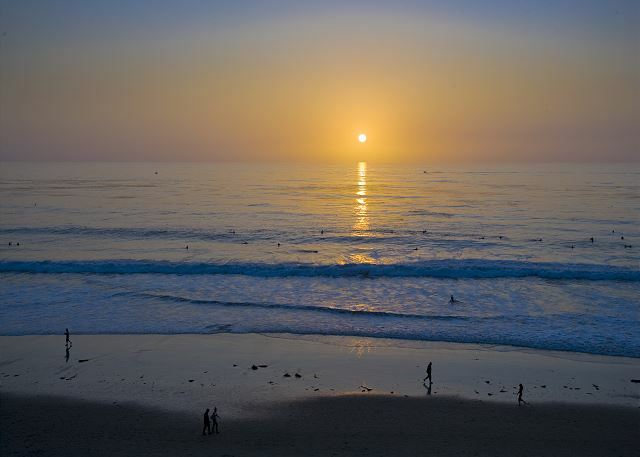 After staying in hotels in Laguna, we were looking for a more home like experience on the beach. Every little thing we need was there in the kitchen for cooking, plus there were so many extras. Five stars! Thanks Tim. We will be back! after 12 years it is still a treat to stay at the sunset cove..
never a disappoinment, hope to do it for another 12!!! We stayed at Sunset Cove (Calypso) in July 2014 and loved every minute of it! The space was much larger than we anticipated, so there was plenty of room for a family of four. It was clean and had everything we needed for a week-long stay. We loved the large communal patio and BBQ out in front of Calypso, plus the easy access to the beach. The staff, including Tim, were extremely professional and welcoming. We highly recommend this vacation stay. Thanks so much Nicole- we could see in all of you that you were enjoying your stay- great weather also helps. Stayed in the Calypso villa with my hubby and two girls. There was plenty of room. The kitchen was well stocked and Tim and Peter were very accommodating. There is an on site laundry room, which is very helpful. We will look forward to staying at Sunset Cove again in the future! Hi Diane, Thank you for your kind review that I hope will help others with our one bedroom units. Look forward having you back! This was a fabulous villa right on the water. You seriously cannot ask for me. The villa was perfect for a family of four. They had everything we needed to make it an easy trip for us. Thanks Michelle- really appreciate the review to help others undecided with our one bedroom units. Perfect location, lovely suite and great hosts that responded quickly to any request. Definitely would like to come back again. Everything you would expect from a quality beach rental. My family had a wonderful time! What a beautiful place. Everything was well kept and clean. Clean air, ocean view, quiet environment, what else could you ask for. Definitely will stay again. My wife and I have stayed at Sunset Cove Villas a number of times. Our experience has always been very positive. The units are overlooking the beach and ocean, with views along the beach; they are well maintained and attractively appointed. The management is responsive and helpful. Always a great experience. We are comfortable and look forward to coming back year after year. Thank you Tim and Peter for welcoming us. We miss Sunset Cove and Laguna Beach already. after 11 years it's still the best!! It is indescribable. As answered above, we could have not asked for a better vacation in a wonderful sitting. Tim O'Neal was very accommodating as was Peter from England!! Location is perfect for a nice stroll down the beach into town. Unit was clean and better than advertised. Grocery store was literally steps away as well as many I'd the best places to eat in Laguna. Staff was very friendly and made themselves available if any issues raised in which there were none. We had a wonderful stay. The staff were extremely helpful and friendly. The place was gorgeous and clean. Amazing location - we loved siting on the large patio and listening to the ocean, reading, watching the paddle boarders and dolphins. We walked everywhere - everything was so close! Best view in Laguna for 4th of July fireworks! 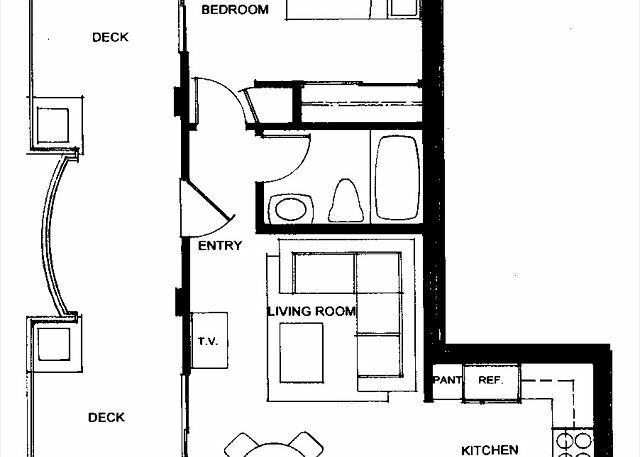 The only thing I wished was different was that there was very little to no storage in the Master Bedroom and bathroom. But believe me, it was truly my only complaint. I would definitely rent this villa again! Thanks Elizabeth - We are working on the storage issue by adding a couple shelves in the bathroom and will look to see what we can add in the master. We loved it and will keep coming back! Thanks Ken & Kristin, always our pleasure having you back with us in Laguna. We had a wonderful stay and got upgraded . Will surely come back to stay soon..
SERENITY: Meditation on the deck at Sunset Cove Villas. Early morning meditation and falling asleep to the sounds of the ocean cannot be beat. We plan to come back next year also. Wow! Exceeded my expectations. Terrific location and property. Our experience was fantastic! The beach and access to it is awesome and the location is perfect. We spent a wonderful week for Spring Break 2012 at the Sunset Cove. The property is beautiful and in a perfect location on the water, within a short walk to fantastic places to eat. Peter, the property manager, made us feel welcome and was attentive to our needs. Our unit, the Calypso, was immaculate and quiet; and we took advantage of the large deck a few steps away everyday to sit under an umbrella, relax, and enjoy the ocean view. We loved our stay and can't wait to return.